Sheet Village Allotments are managed by the Parish Council. For availability of plots and to book, please call or email the Clerk, Jenny Hollington, using the contact information below left. 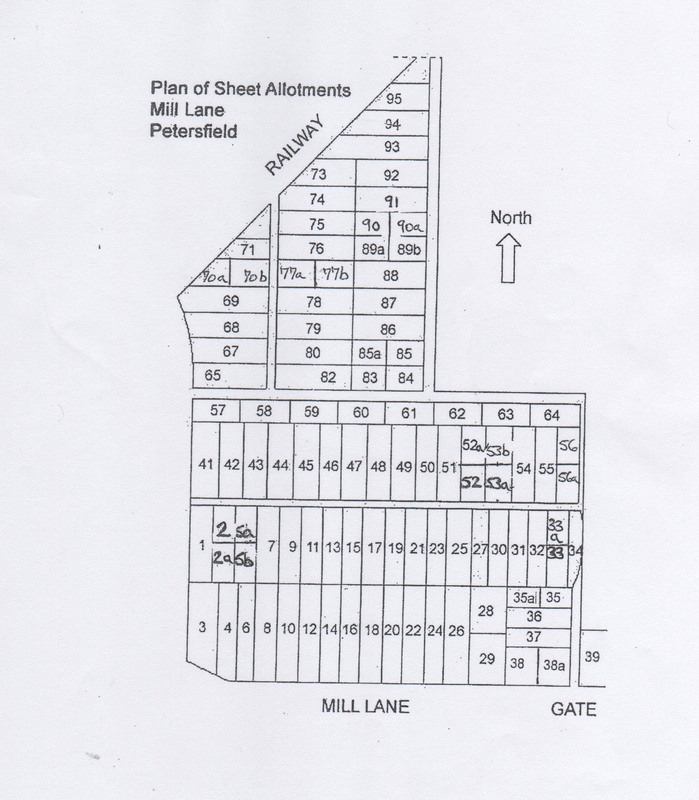 As at January 19th there are plots available at the Mill Lane site. The tenancy agreement can be viewed and downloaded here and associated explanatory notes can be viewed and downloaded here. In addition our policies in relation to structures and bonfires can be viewed here. Please click on the map below to see a larger version.